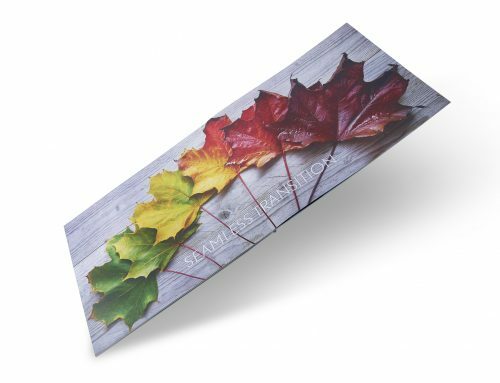 The quality of your print can instantly convey a lot about your products and brand. 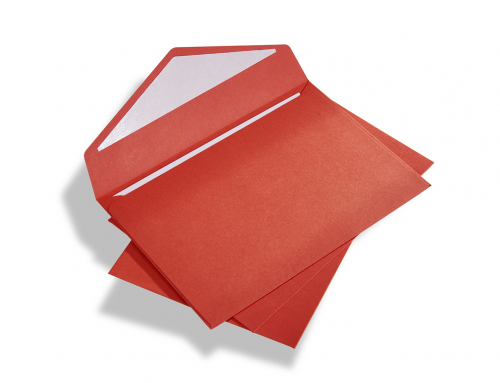 From the thickness and weight of the paper or card used, to the finish; whether matte, gloss, satin, coated or uncoated. Premium brands and products need to be promoted using premium print. But to differentiate your luxury brand from others in the marketplace, your print materials need to exude luxury too. 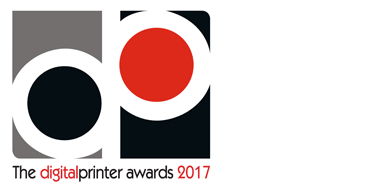 In a digital world you might expect that printers are seen as a dying breed. But while the overarching trend is towards digital and some printers maybe suffering, at the bespoke, luxury end of the market print is thriving. That’s because high-end brands are continuing to invest in print, as quality print is far better at conveying quality, luxury and taste than any digital advertisement or online brochure can. 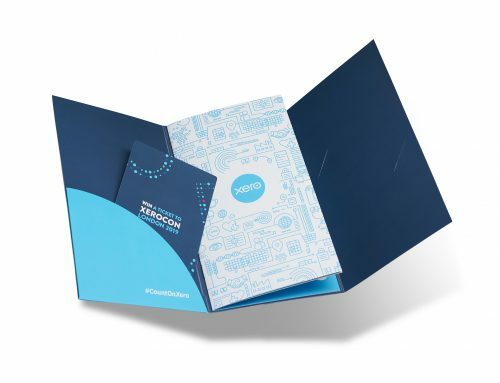 The tactile nature of print means that consumers get up close and personal with your branded print material, and can actually feel the quality. When you go to the effort of printing something, real craftsmanship goes into the finished product. Consumers understand that, they can see and feel the production values. It’s also far more exclusive than digital. Anyone can download a PDF of your brochure, but only some customers will receive a printed brochure in the post or pick up a copy in your showroom or store. This involves selecting a particular element of your design and applying a thick, transparent UV coating that is dried using UV (ultra violet) light. 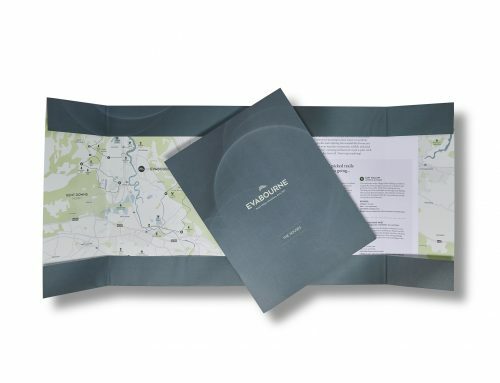 The result is that the Spot UV treated design element contrasts strongly with the rest of the print, highlighting a key element such as a logo, brand name or strapline. 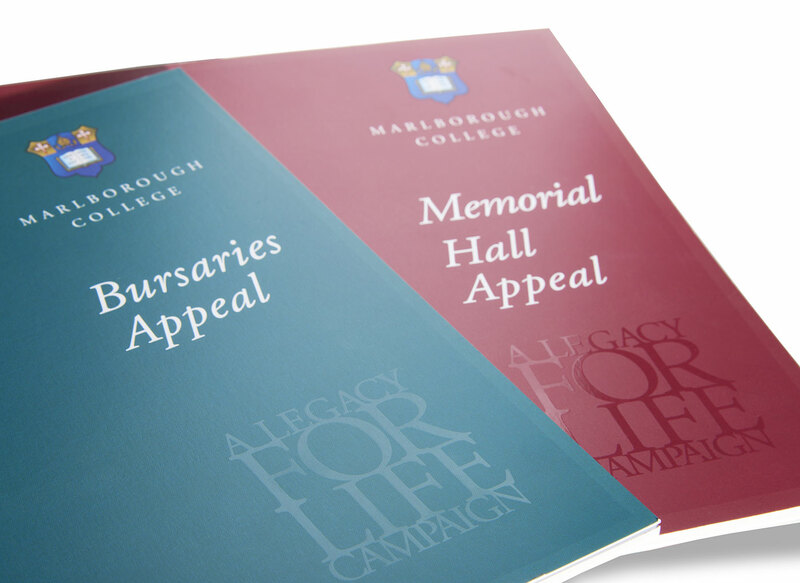 Here at A3 Print & Design we used this technique in a brochure for Marlborough College, highlighting design elements such as the quotation marks used in testimonials from former students. Combined with an Anti-Scuff Matte Laminate finish, the Spot UV gave this prestigious college’s brochure an additional luxury feel. Nothing says luxury more strongly than a foil finish in Gunmetal. 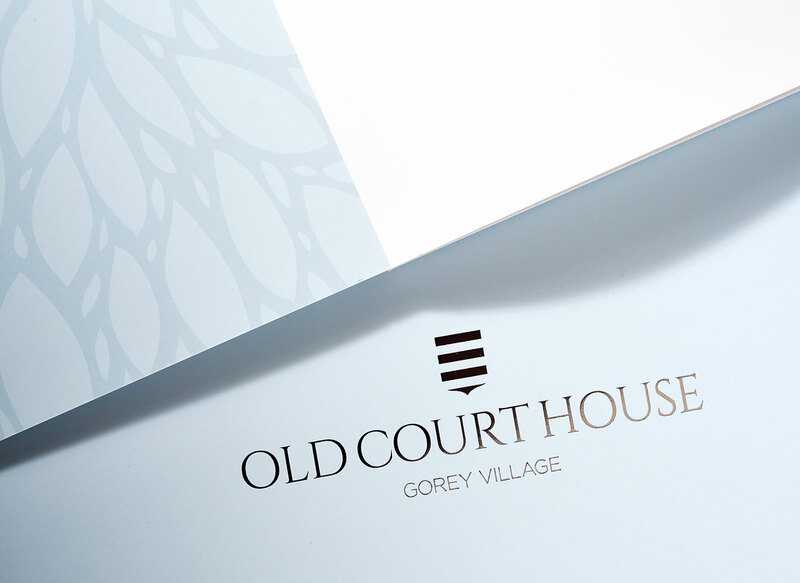 That’s why it is the perfect fit for brands like The Old Courthouse Apartments, for whom we printed a layflat brochure. Foil was added to subtly highlight the text, bringing class and luxury to make their branding stand out. As an alternative to gold, silver or solid colour foils, holographic foil can add interest and movement to your print materials. Holographic foil produces a rainbow effect as light shines onto the foil, creating movement as the light refracts and the viewer moves their head or hands. 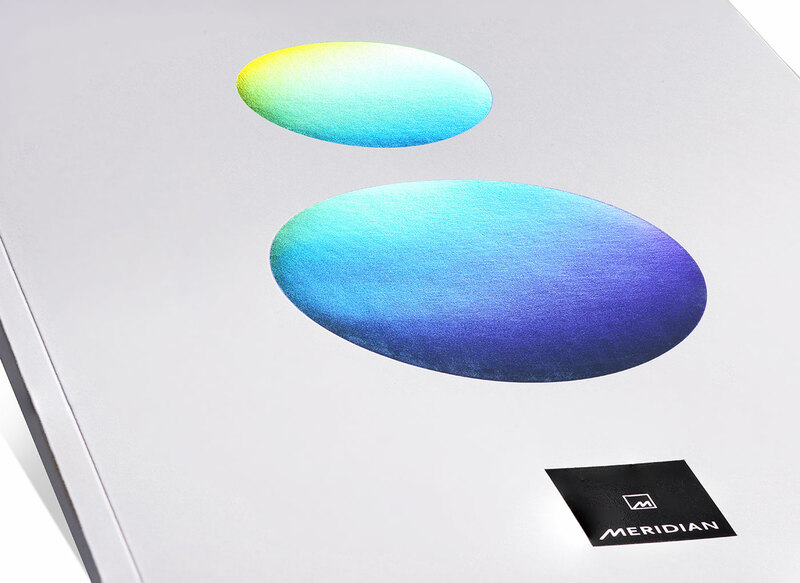 We used this technique for Meridian’s new brochure, highlighting a key design feature in holographic foil on an uncoated paper stock. These techniques are only effective if used strategically with the right paperweight and finish to complement them. For luxury brands, every aspect of your print material needs to portray ‘luxury’ too, techniques like those highlighted can help you achieve this.